Las Vegas Connection released two great singles on Senator Jones’ Hep Me label with ‘Dancing With My Love Bones’ / ‘Give Me Your Love’ (Hep Me 136) and ‘Running Back To You’ & ‘Can’t Nobody Love Me Like You Do’ (Hep Me 169). They were a short lived group but the four songs recorded have stood the test of time and still sound great to this day. 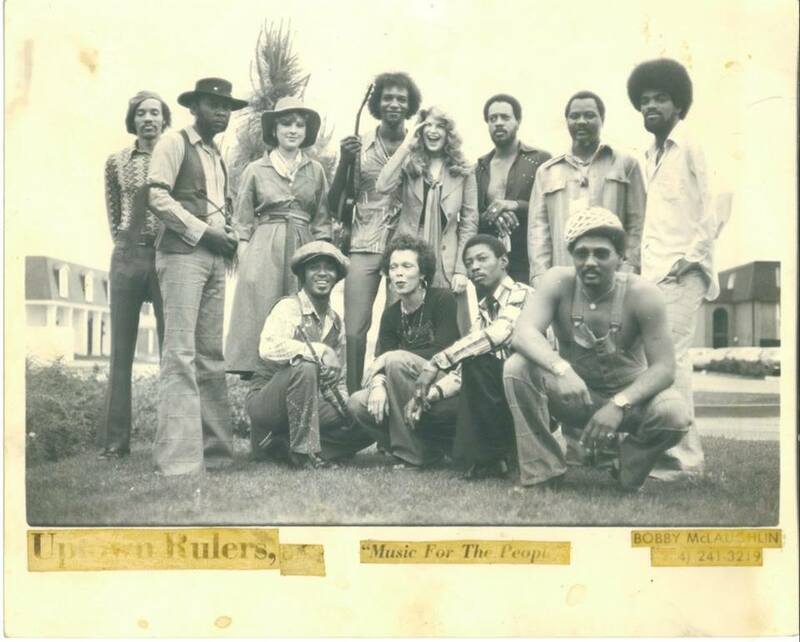 We interviewed original bass player Paul Boudreaux and chief songwriter for the low down on the group. Paul is still playing around New Orleans today and has a history steeped with quality music. Where were you born Paul? When did music become important to you? I could have been around 3 or 4 years old when I first remember music. I was raised in the Uptown are of New Orleans, by a place called the Dew Drop Inn, which was a black club, a real swanky black club with live entertainment being played right around the clock. I can remember hearing music every day back then. I was born in 1945 and the Dew Drop was opened in the same year with the lounge first. It was at the first time. I can remember walking past through with my mum and dad going to the stores or going to church. I would always hear music and see entertainment outside. I guess music’s been with me all my life. Yes I’ve got one brother and two sisters. One was a school teacher and the other was a truck driver. My mother sang in a choir at church of course. My uncle Matt played piano and sang also. Do you remember any of the live acts that you were seeing then? The Dew Drop Inn was a club and hotel for black entertainers. Back in those days black entertainers couldn’t stay in white hotels so they would come to the Dew Drop Inn and get meals, get to play music and also a place to stay. So during that time there was Ray Charles, Count Basie and all the big guys would come to play the Dew Drop or if they were playing somewhere else in Louisiana they would stay at the Dew Drop Hotel where they would get a meal, a haircut, a place to stay and get their clothes cleaned before they moved to the next town. 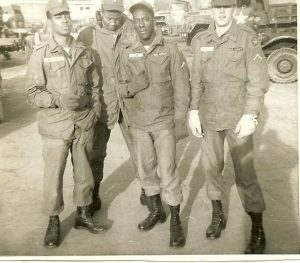 I started playing music in the army in 1965 when I bought a bass guitar from a guy that was leaving Germany and I had just got to Germany. He was selling a bass guitar man and I bought it. I taught myself to play some songs and I taught myself to play some musical scales. I was like I like this. I always did have a love for bass. I always loved the sound of bass in a song. 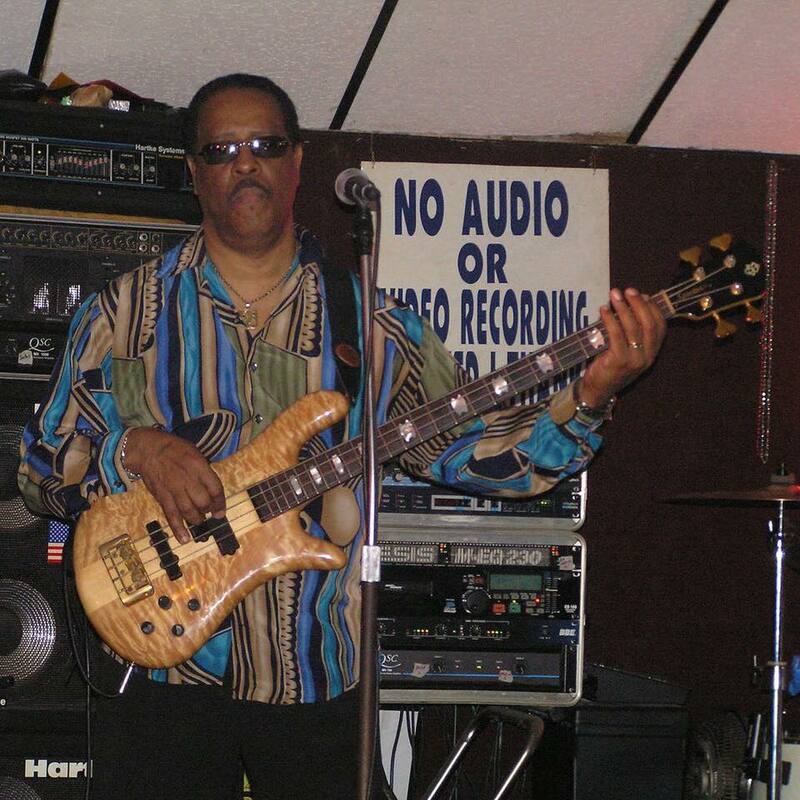 I leaned towards the bass because itâ€™s such a powerful instrument. I would practise the whole song from the beginning to the end over and over again. Then you would find where the song was going with the changes from the bass. I love the bass. It’s all about bass and drums. Yes it is, the bottom man. Did you join any bands whilst you were in the army? How did you find Germany? I was based around all the night clubs and all the clubs so we were able to play on our off nights Saturday and Sunday nights in the German clubs for the soldiers and got paid. It wasn’t much money but they paid us. I had a wonderful time in Germany, a wonderful time. Do you remember what songs you were playing back then? The favourite was “Mustang Sally” of course in 1965. We did stuff like “Wooly Bully,” “Gloria” by Van Morrison, a lot of songs by the Stones and Bob Dylan. We picked songs that we liked from the radio or that got played on the jukeboxes that we thought would excite the crowd. We were playing everything like jazz, soul, gospel, rock, we played psychedelic and all that man. I left in May 1967 and came back to New Orleans. I heard for the first time “Knock On Wood” by Eddie Floyd. That song was so laid back and funky. I picked up my bass and quickly learned that song. That bass line and Stax! 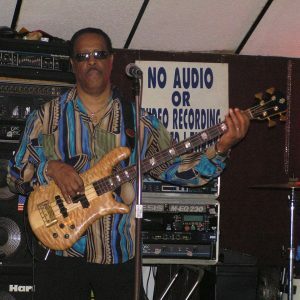 I came back to New Orleans and my cousin saw me walking down the street and he was like “man I heard that you’re playing bass now!” I was like “yes!” “Do you have any equipment?” I was like “sure.” He said “well get it and come with me.” He had a gig for me. My first gig was at a lounge bar. I was sitting in for a bass player who was late. They needed a bass player so I started the gig. When the guy got there they were like that’s ok we’ve got a new bass player now. I said “What! You’re kidding.” “We’re going to keep you.” That was my first band I played with when I got back to New Orleans. 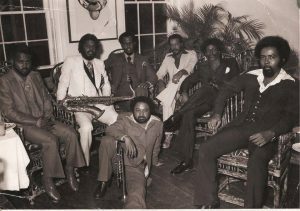 The Bobby Williams Group who did “Boogaloo Mardi Gras” with Bobby, Paul Boudreaux, Louis Clark and Eddie Bo. Do you know Eddie Bo? That’s me on “Hook and Sling” with James Black on drums, George Davis on guitar and Eddie Bo on piano. When I got back to New Orleans Eddie heard the band playing. We did a lot of sessions back then. How did the Las Vegas Connection come about? Well I was playing a place Alhambra Club with another band called Uptown Rulers. Aaron Neville was a singer, with Willie West. Check out these front guys Aaron Neville, Willie West and John Adams. They are some of the best singers on the planet. I was playing at this club and the pay wasn’t right so I was getting frustrated. At the same time Humphrey was upset with his bass player and he came down to talk with me, asked me to make a move. So I moved to this other band the Las Vegas Connection, who were playing at a club called the Mason’s Las Vegas Strip, which was a little club uptown. We were playing there for about 3 or 4 years before we started recording. They didn’t have any original material then, but they always chose the right songs. When I got in the band I was like let’s stop playing everybody else’s songs and let’s consider doing songs that we write. We know how to play, let’s be creative and stop playing everybody else’s songs. Let’s do our own material. They were like nobody wants to hear that. I said “who is nobody. These people don’t know where it’s come from if it’s good. Let’s just do it.” So I convinced them to start recording, so me, Humphrey Davis and Larry Santiago started writing songs. Then we hooked up with a guy called Senator Jones, the producer and he recorded us. What happened was Marshall Seahorn and Allen Toussaint took our material to California where Mercury Records and Casablanca Records wanted us, but what happened was that Allen was asking for too much money upfront. They knew that it was good material but they wouldn’t bend on how much they wanted to sign the group. They were like they’re an unknown group so let’s make a deal for everybody. Get them in and we’ll talk later, but they wouldn’t bend. So we had no major label on that. You never died because both singles are still popular today. Did you record any other songs? Who were the other members of the group? 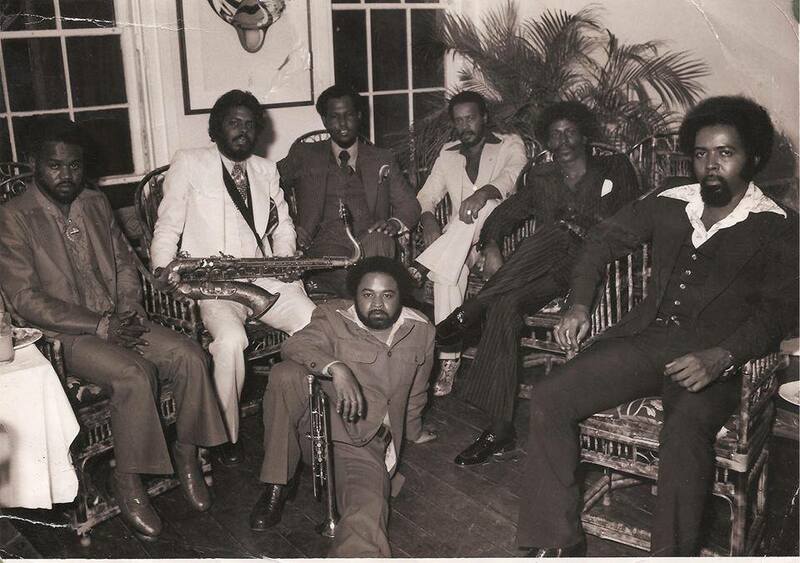 There was Raymond Fletcher played the keyboards, Humphrey Davis Jr. Stanley Stephen played the drums, Jackie Pettis was the lead vocalist, Larry Santiago played the guitar & Frank Parker played the trumpet and I played bass. Jackie had a great voice. He was something else. He passed away a stranger way which was that he got murdered in the French Quarters. When the group split up what did you do next? I played with other people like Willie West, Irma Thomas, Marva Wright and people like that. Then I put together a band with some guys who were interested in my playing and with that group I started writing again. This was around 1995 and they were called the Blues Krewe with a guy named Willie Lockett singing. Do you still see the other band members of Las Vegas Connection? There’s only one other band member alive and that’s Frank Parker. Were you aware that your records were being played over in Europe? No I wasn’t, but they were good records but just didn’t get the right attention.